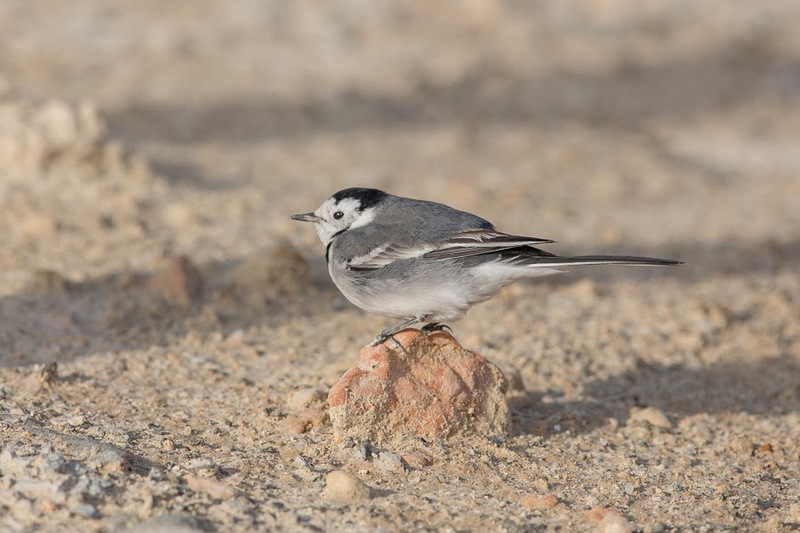 There have been a few interesting birds around the camp in the last week with probably the best being a male Eastern Black Redstart seen along the edge of the golf course. 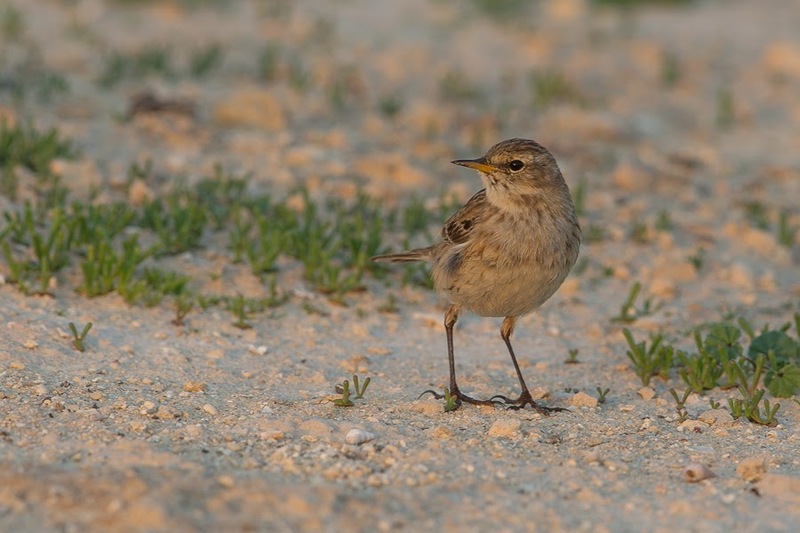 The Red-tailed Wheatear is still present in the same place and may be set to stay the winter. The first Song Thrush of the winter was seen from my office window 8 December with a Lesser Whitethroat in the same area feeding on fallen dates. Song Thrush can be common or scarce in the camp depending on the year, with 2010-2011 being a good winter and the last two years being poor. Western Cattle Egret numbers have now reached over 70 birds and all are roosting in a very small reed-bed on the settling pond and the main percolation pond is still dry and all the reeds removed. The settling pond has a few Common moorhens and two Eurasian Coots as well as a number of waders including three Common Snipe, one Green Sandpiper and seven Ruff. 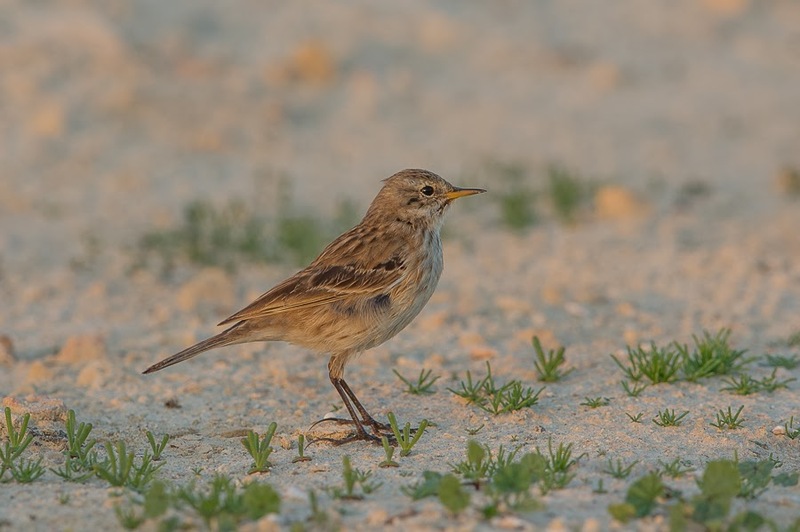 The spray fields are wet at the moment and are holing a small flock of up to ten Eurasian Skylarks, a similar number of meadow Pipits, three Tawny Pipits, 75+ Water Pipits and 50+ White Wagtails. 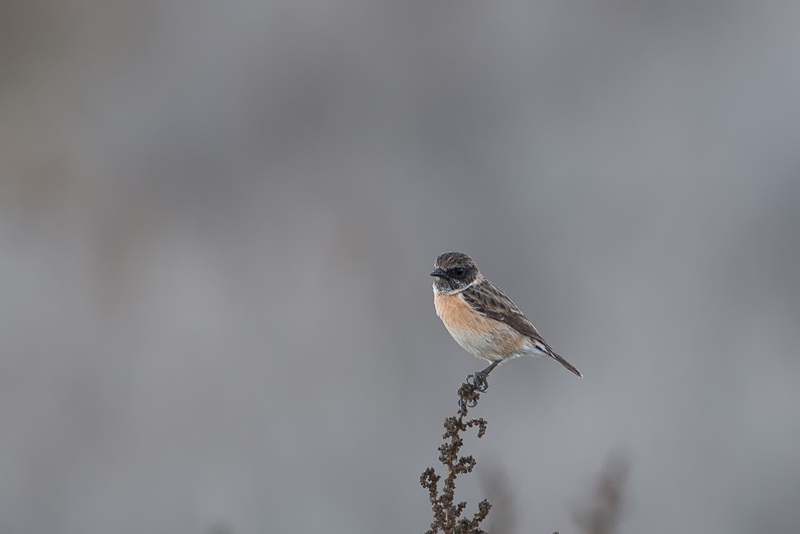 A Siberian Stonechat was in the fields with other birds seen including a female Desert Wheatear on the scrubby desert area and two Eurasian Sparrowhawks flying about over the general area.